phew... what crazy times! Working on the Artbook like crazy, trying to solve one problem after another. I really hope this project finds an end soon so I can return to my daily work routine in the studio. I miss this creative place very much. Working from home can be cool for some time, but after some weeks I want to get out again. Anyway, I wanted to show you some new stuff from my work bench. But first, before reading: Some nice beats! 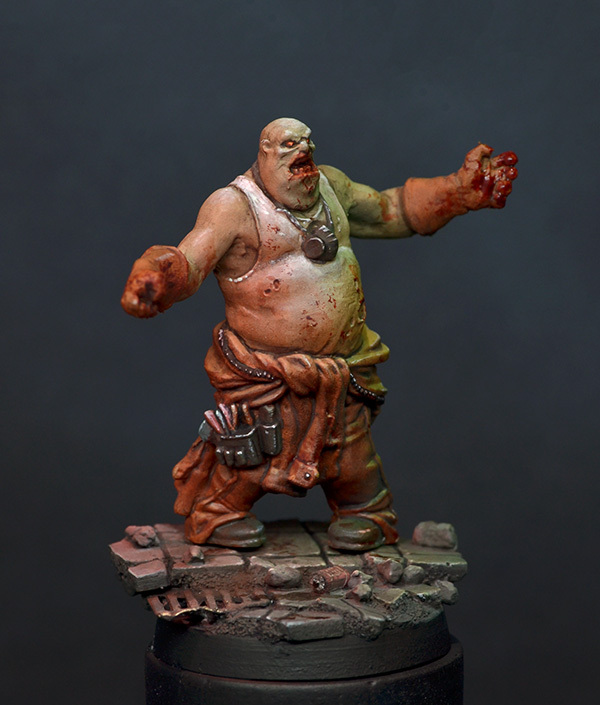 First up, we have a Zombie from Zombicide, I painted this figure for fun and it was given away as the first price for our Zombie Survival Calender game. So, as you can see I tried to make the figure more interesting by painting it like it is standing between a red and green light (traffic light madness). The base was made with plaster of paris, the coke can is a piece of a toothpick and the gully is a photoetched part of PK-Pro. Congrats to Harald for winning this figure! Another project that has visited my painting table in these days of scarce and sacred painting time is a small Infinity figure. He comes out of the Haqqislam Starter Box and was painted for pure joy and in around 1,5 hours. I didn't have much time after packing Forged Monkey stuff in the studio, so I had to do a very quick paintjob. At the moment we are thinking about to start playing Infinity (Roman, Bene, Me). I already ordered my Panoceania starting crew so soon there will be much more about Infinity and some quickly painted gaming figures. 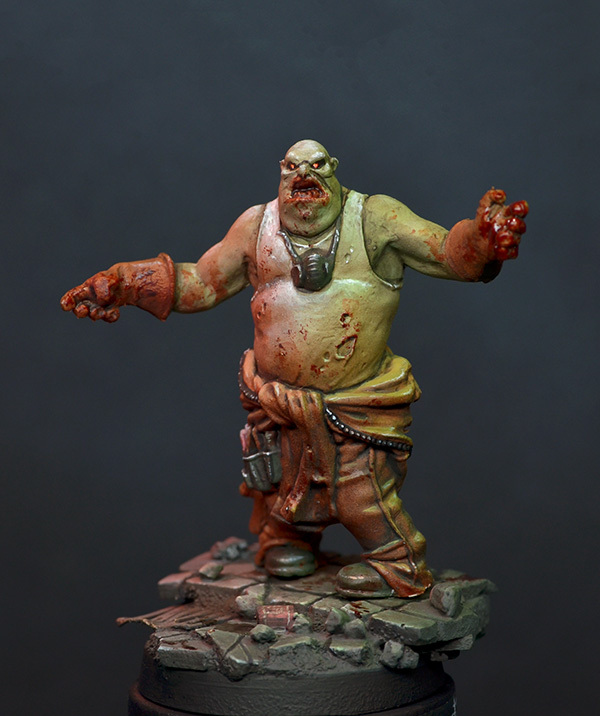 But fear not, we have some very interesting other display painting projects in our pipeline! 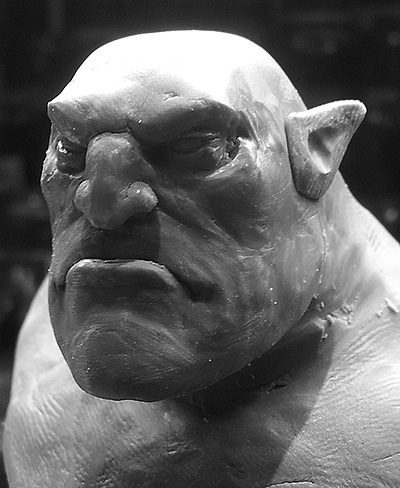 I just started a new bust when we were in the studio yesterday. I don't know where exactly this will end, but I like it so far, some small things to fix like the eye areas... but this is a very early work in progress. I will keep you updated about the progress! Your Zombie looks really great! Infinity is a fantastic game with great miniatures. 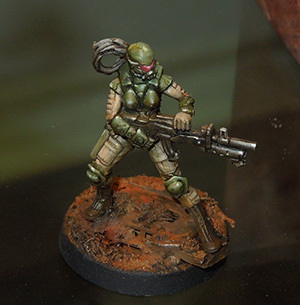 Looking forward to be seeing some more beautifully painted Infinity miniatures in the future. Well nice job overall. Thanks for sharing. Nice bust by the way!